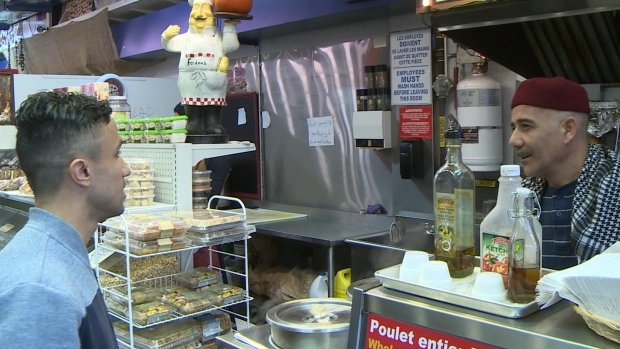 Montreal's Marché Ferdous has been giving away free food to the poor and the homeless in their neighborhood for months now, but a a viral post on Facebook has gained them international attention. Interest exploded after a Facebook post went viral on Monday. Corner of Mackay and st catherine you find this place. They are offering people food that have no money for free. Curious enough I walked in and pretend I had no money and asked for food. She didn't ask anything, but said we welcome you and pick whatever you like, including anything I wanted to drink. Made me smile and warm inside I paid for my food and told them they were awesome for doing this. They said it wasn't for the holiday season, but all the time they want to encourage helping each other through tough times. Absolutely incredible.